I checked the part today. It is the right one. I’m posting a picture of the broken part. @andrewwynn - how can I repair this? Maybe the original part will fit the best. Looks like the usual break. 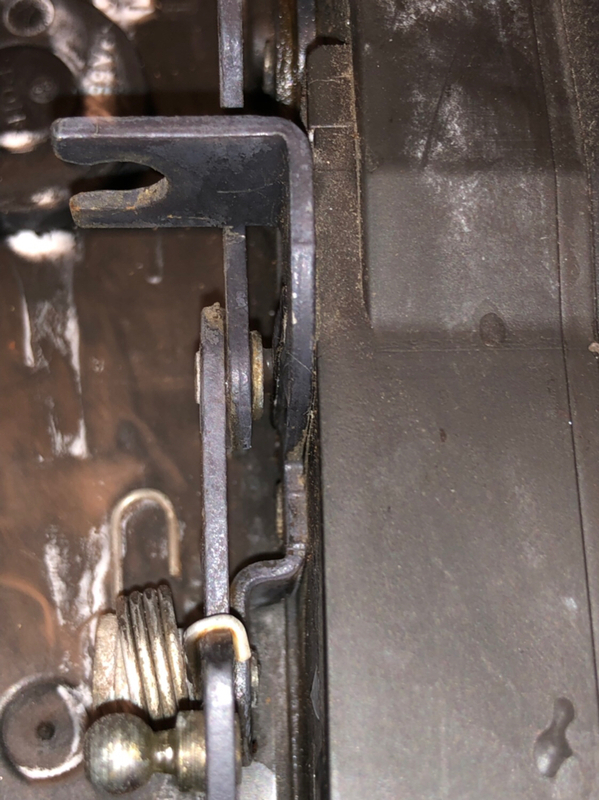 You need to get the spring back in place and the hinge axle in and then use some 16ga steel wire to wrap around the part of the hinge still left..
Cut off the self destruct tab before reassembly. Then learn the feedback of a frozen latch vs frozen door seal so you won't re-break it. So here's an update: my driver door dhc self destructed during a cold snap (I never removed the self destruct tab and sure enough it was frozen in "destruct" position when I removed it. 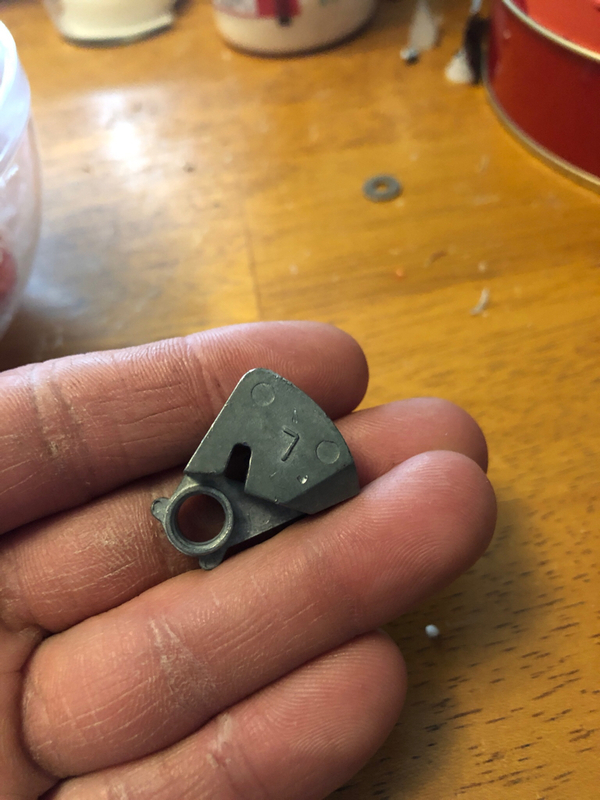 Since this was a DHC where I reinforced the original broken part I was pretty amazed to discover the entire part of the hinge was torn out (my fix was still intact it was stronger than the base hinge and tore it right off). Amazingly I had a different broken DHC in my car where the moving part was broken but the stationary part was fine. 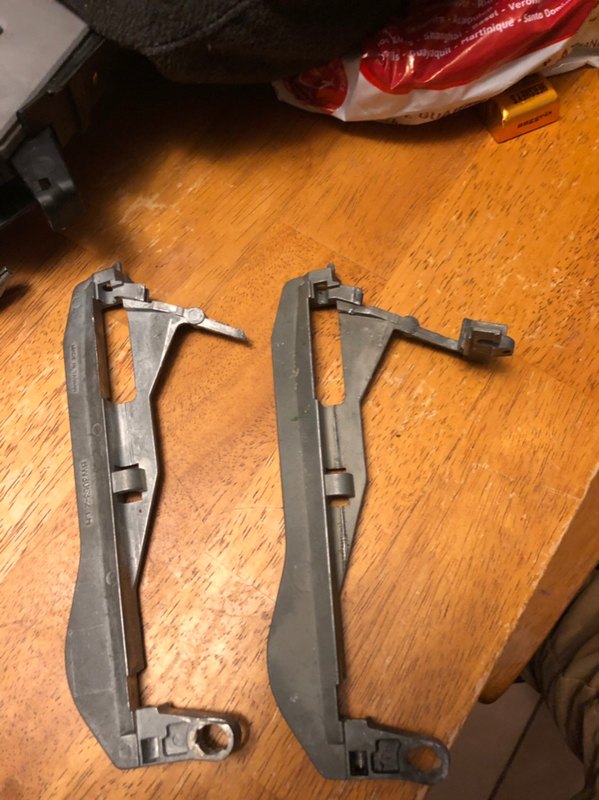 So I pulled out the hinge pin and swapped them. I removed the self destruct bar completely this time. 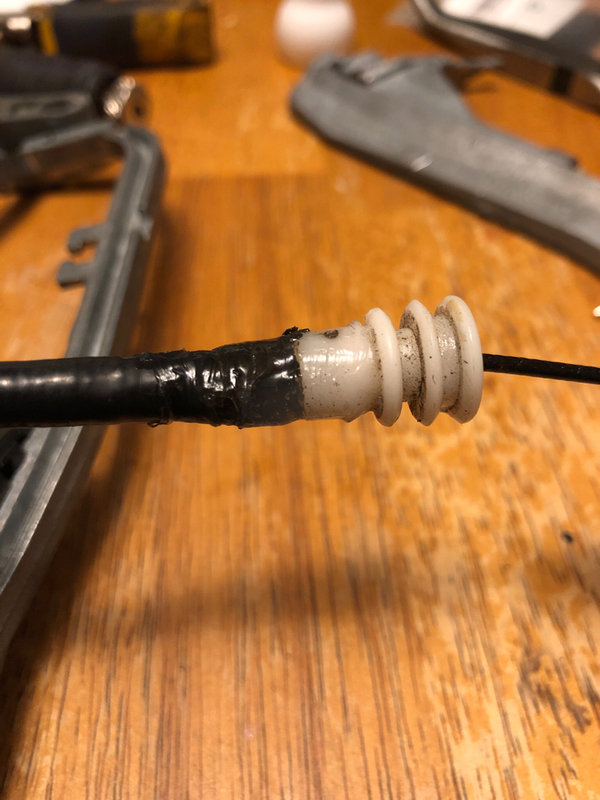 Now on to why I'm posting in this thread: my cable was apparently "too short" like the OP in this thread and on closer inspection, the end got corroded and rust expanded the end. I had to cut out maybe 3/16" of rusty spiral before the cable was the correct length. When reassembled I put silicone around the cable to keep water out and hopefully keep the cable from corroding more. Anybody that's changed or about to change their DHC (front) I would love to snag a non rusty front DHC cable. I'd hate to buy an entire DHC just for the cable. Update two; the teflon fix did seem to work but I didn't love the idea of letting ice form but just make it easier to break free. So instead I came up with bend the metal to make the gap bigger. It worked like a charm. I could no longer get a drip of water to bridge the gap. Not going to lie that wasn't easy that metal is thick I may go back to my original plan of using the teflon but I need to find my leather punch tools to make some perfect circles. I have all the original DHCs from my 2001 (I replaced all with Febi). PM me details and I'll send what you need. I was saving them to potentially one day do your repair on them if the Febi's ever fail. But I've never had any cable problems on the originals or replacements, so they are good to go. @andrewwynn - this is awesome. 1. Got a replacement DHC. I noticed that the cable on the replacement was longer by couple millimeters. 2. I also stretched the cable a bit by pulling by hand. Not sure if it actually made any difference. 3. Took out the actuator and tried to reproduce the problem. There is a very tight tolerance between the neutral and locked positions of the ball-pin arm. It was just a matter of few millimeters. I sprayed some lithium grease and worked up the moving parts many times. 4. When I installed the actuator back I made sure the ball pin goes as much up as possible when I tightened them with three new screws. I think I was able to get it up by at least 1-2 mm. 5. When I installed the new carrier I made sure it sits perfectly. If the screw that goes into the lock cylinder goes smoothly, then it is an indication that the DHC is installed correctly. 6. With this I was able to unlock by pulling the bowden cable, which connects the inside door handle. At this time I knew it was going to work. 7. However, when I installed the outside handle. It was still not opening. The problem was that during the process of pulling out and installing the handle multiple times I had damaged the stem that goes into the DHC slot. This was inhibiting the carrier handle from being pull far enough to unlock. 8. So I used the trick I saw earlier in one of the threads on this forum, which is to drill a hole in the stem and use a small screw to washer. This made the handle fit like it was new! 9. And, lo and behold, it started working like a charm! 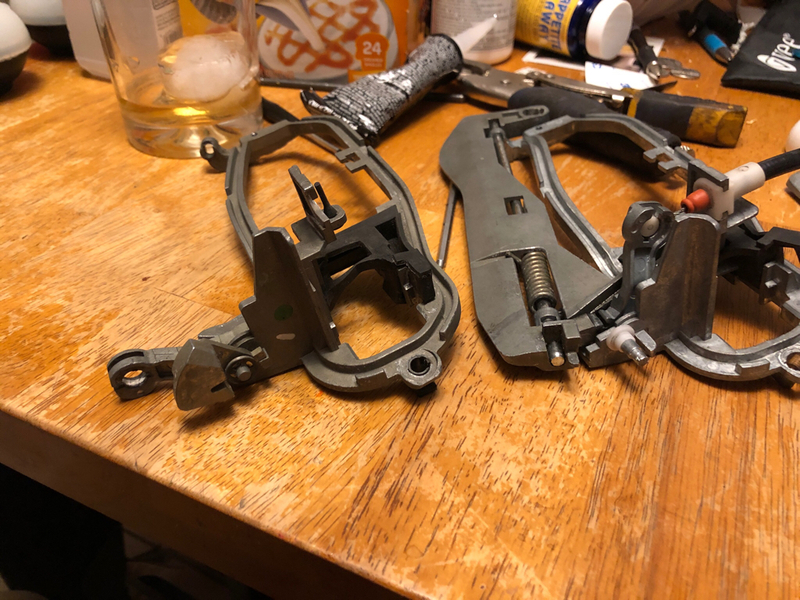 I also had to repair the window regulator and then put them back together and close up the whole thing. It has been holding up well. Thanks a lot of all of you for your insights and help. I wanted to provide the details so the thread is complete. @andrewwynn - I am still unsure if I understand your comment about the self-destructing tab part. Could you post a picture with this part highlighted. Needless to say I have not broken out the tab, but if I have to take it apart any time I will do that. @andrewwynn - I am still unsure if I understand your comment about the self-destructing tab part. Could you post a picture with this part highlighted? ditto on the self destruct tab. I am sure it'd be easier to visualize if I had the DHC out of the car but none have broken since I first heard of that tab/theory. It turns out that the actuator is likely more at fault. 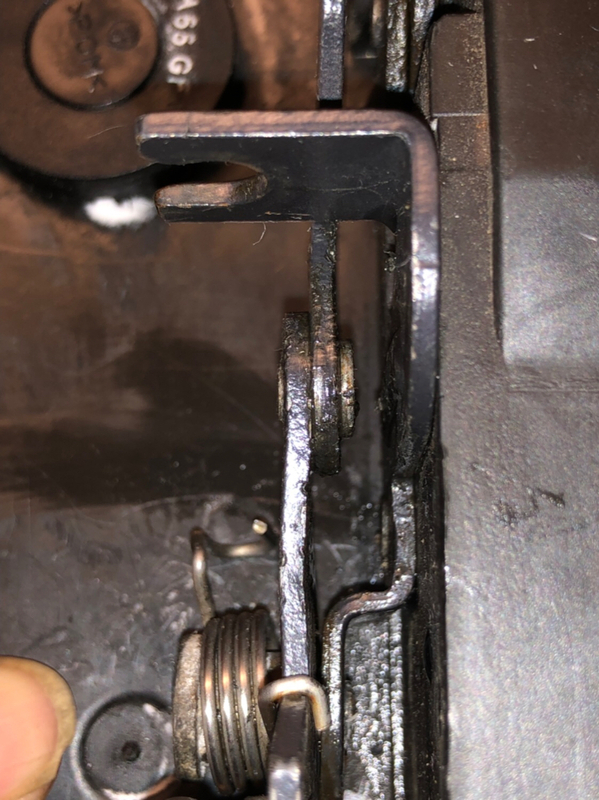 There is a metal bar that will freeze solid and won't let the cable move a mm.. you can tell if it's the tab or the actuator this way: if the handle barely lifts it's the actuator, if it lifts maybe 1/3 the normal distance, it's the self destruct tab. I will be repairing another DHC soon maybe today. I will be using a metal zip tie and will post photos. I have photos of how to remove the stuff destruct tab in my posts on DHC repair. Search for door handle and find posts by me. I will be making a new thread that covers both the DHC and actuator and that includes repair of the actuator motor (unlock). I developed a no drill no rivet replace method.